Full Member of the Russian Academy of Education, Honorary Professor of the University of Wisconsin (Madison, USA), a head of International UNESCO Chair MSUPE “Cultural-historical psychology of childhood”, a leading scientist, a specialist in general psychology, pedagogical and age psychology. The works of Prof. Rubtsov, concerning the issues of joint activity, group teaching/learning and, recently, developmental education are widely known in Russia and abroad. 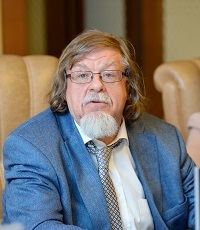 Professor Rubtsov scientific activity is closely connected with the Psychological Institute of Russian Academy of Education, where he started work as a research-fellow in 1972 and became it`s head in 1992 (and still holds this position). Rubtsov has been heading the Laboratory of Psychological Foundations of New Educational Technologies since 1981. Researches carried out by Prof. Rubtsov describe a teaching models` typology that takes into account age-specific abilities and features of development in different groups of children, making it possible to solve various problems arising in educational and teaching children with developmental disorders in particular. Several fundamental researches on psychological logic and mechanisms of joint learning activity organisation and on the genesis of cognitive actions in children were conducted under the guidance of Professor Rubtsov. He has substantiated a new variant of the experimental-genetic method that enables studying the origins of cognitive actions in children more deeply. Currently several national programmes and international projects aimed at studying conditions of effective use of new educational technologies and models of teaching different groups of children are being implemented under the guidance of Prof. Rubtsov. The results obtained in these studies are widely applied in educational practices. For his scientific and practical achievements Professor Rubtsov was awarded the President’s Prize in Education (1998) and given the title of the Honored Scientist of the Russian Federation (2004). Since 1997 Prof. Rubtsov is the Rector of Moscow State University of Psychology & Education.